electrician at work. boring hole for electric outlet by power tool drill. Electrician work. 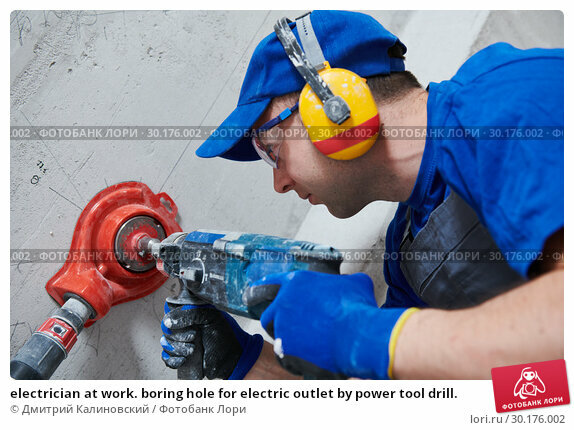 boring hole for electric outlet by power tool drill.